An alcohol ban will be trialled in a section of the Principality Stadium for Wales' autumn internationals. This follows reports of drunk people spoiling games and a disabled fan being subjected to a "tirade" of abuse. Warren Gatland's side play Australia, Tonga, Scotland and South Africa in November and the ban covers a section of seats in the north stand. Welsh Rugby Union (WRU) chief executive Martyn Phillips said offering fans more choice was "the way forward". 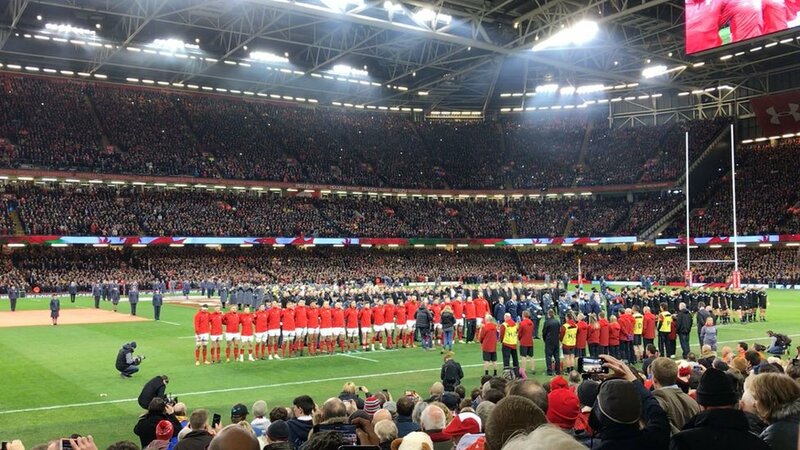 The WRU said further details about the ban and how fans could buy tickets for these seats would be provided in the near future. Unveiling the plans, the governing body also said there would be a 30% increase in disabled seating for the autumn series. Sandie Hardwick, 49, from Bridgend county, was "showered with beer" by drunk fans at the game against New Zealand last autumn. 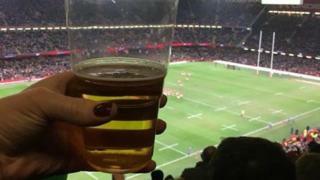 She said: "I'm the first to enjoy a beer at a rugby game, so I'm not anti-alcohol. "I don't think this will fix it, the issue is people who don't seem to know what the limit is and are just out to get drunk. "They're right to try it and see how it goes. I saw the [alcohol] ban come into football and I understand why they brought it in, but I was glad rugby wasn't like that, but that seems the way it's going." Plans for the ban were first announced in December in the wake of last year's autumn Tests in which drunken behaviour prompted South Wales Police and Crime Commissioner Alun Michael to speak out about the problem. Mr Phillips said: "We know that, for the vast majority, having a drink is an important part of the match-day experience. "Equally we have also identified a customer group who would welcome an alcohol-free zone and we are pleased to confirm that this will be trialled at each of the four matches this November. "We are very proud of our stadium experience, but don't want to be complacent."